Blogging could be that one thing you're really good at. It may also be that cathartic outlet that channels your creative energies in a beautifully structured manner. Perhaps it calms your nerves and helps make you a better person (whatever that means)! But that, I'm afraid, is not good enough to catapult your much cherished blog to the heights you want it to reach. Ever wondered why all that hard work on your blog seems to go unnoticed and not yield any traffic growth and/or potential leads? Among other things, it could be entirely possible that you've been approaching it inappropriately and unwisely, plain and simple. Having been a blogger for a number of years now, I've had the opportunity to learn from my failures as well as successes. For starters, I can tell you this: blogging isn't an easy, hassle-free ride with no impediments. Yes, blogging could be that one thing you're really good at. It may also be that cathartic outlet that channels your creative energies in a beautifully structured manner. Perhaps it calms your nerves and helps make you a better person (whatever that means)! But that, I'm afraid, is not good enough to catapult your much cherished blog to the heights you want it to reach. Blogging entails so much more than mere ideation. It necessitates a bit of business sense and plenty of good old research and analysis. Blogging entails so much more than mere ideation. It necessitates a bit of business sense and plenty of good old research and analysis. You need a methodical approach to gain traction and leave a lasting impact on your target audience without making egregious mistakes. At the end of the day, you want people out there to read it and derive some value from it. Here's my five-point checklist for maintaining a blog that counts. To make sure your blog has staying power, go back to the basics and focus on R&D. Trust me, a good strategy of research goes a long way in the domain of writing. 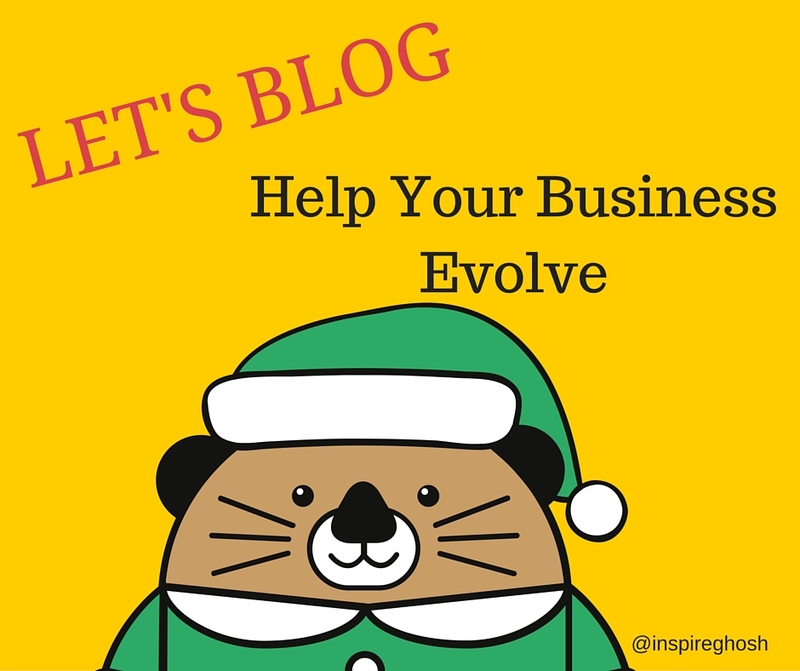 Read other blogs, follow other bloggers if you need to, find out what they are doing different and figure out what they are putting out there. You'll notice their blog probably targets a particular audience in a more coherent manner. Having a targeted audience is a result of having undertaken some thorough market research. So I'd say get right on it. Once you have initiated a blog, ensure that you keep posting pieces regularly --else your potential readers aren't going to come back to you in a hurry. Unless the reader is engaged on a regular basis with content that is entertaining and/or thought-provoking, they are going to seek greener pastures. Remember, your readers reacting to your post in any manner is good, because this establishes your first point of contact to the outside world, apart from your family and friends. Blogging about anything and everything is a sure-fire way to never build a community of like-minded readers. Avoid this enticing but deeply deceptive trap. Engaging this first circle of readers is imperative in blogging. Go ahead with a mindset of helping them with some value-addition or practical insights so they go tell other people about your blog and recommend it. With this, the growth of your readers' circle will possibly double or triple in no time. This is a million dollar question that separates merit from mere aspiration: What on earth should I write about that my readers will find interesting? Well, here's the thing. You can select practically any topic as long as you believe in it and possess enough knowledge to write about it without having to slog through it. Choose a niche for your blog and stick to it, no matter what. Blogging about anything and everything is a sure-fire way to never build a community of like-minded readers. Avoid this enticing but deeply deceptive trap. Try to be a voice to be reckoned with in your niche and don't be afraid to go wrong. As the great Confucius said, "Respect yourself and others will respect you." It's never a bad thing to be confident, tell the world exactly what you feel about a certain topic and hopefully make the right noises about it. Yes, controversy is good but you just need to generate it in a non-offensive manner that won't trigger an onslaught of bad reviews by incensed readers. The best way to get readers is to promote your blog in as many ways as possible. If you have the capital, by all means pay to advertise your blog. For those of you who are just starting out and are hysterical about spending anything, do it the old-fashioned way: word of mouth. Don't ignore your readers who take their time to comment on your post or email you personally. Add to that the benefit of being in the 21st century, you can promote yourself on Facebook, Twitter, Instagram -- the list is endless. Find a way to put yourself out there as much as possible, so that people start sharing your posts, re-tweeting them or even featuring you on their own blogs. The sky is the limit. Remember: you started the blog because it means something to you. So do all you can to spread the word about it. If you've already got started with a couple of heartfelt posts, pat yourself on the back for making the first move, which is always the hardest, sit back and wait for the responses. And when the responses do start coming, it's time for interaction. Don't ignore your readers who take their time to comment on your post or email you personally. Those of them who find value in your words and praise you will help you feel good, and you'll be encouraged to do more. Those who criticise you will also help you get better. Appreciate all the feedback you get and move on to the next piece. Maintain an indomitable streak of optimism that will keep you going after learning your lessons.